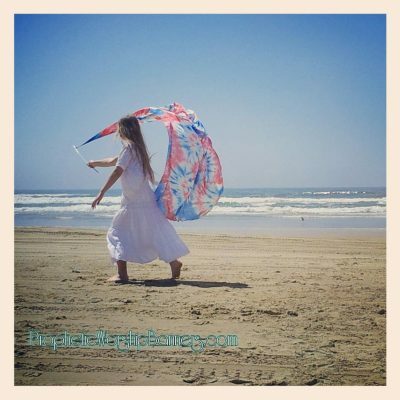 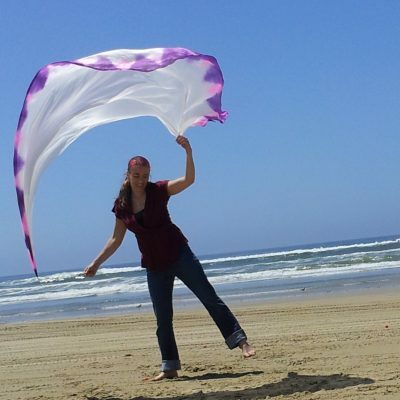 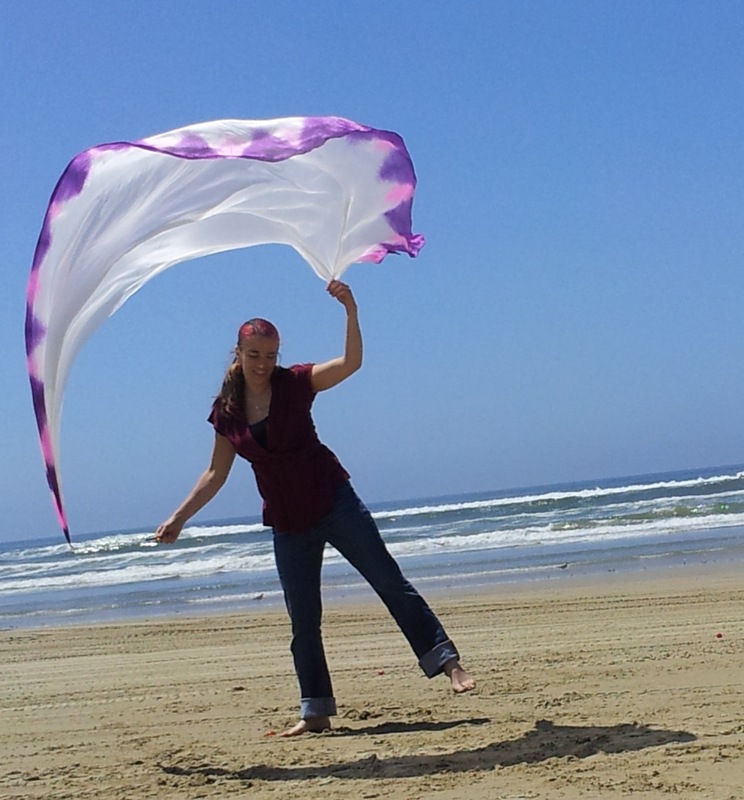 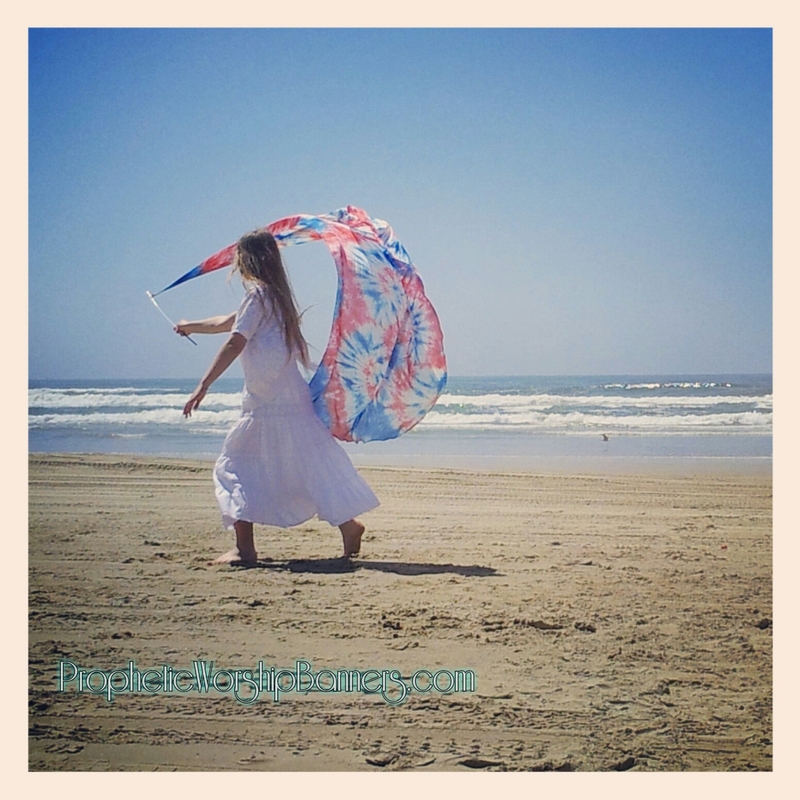 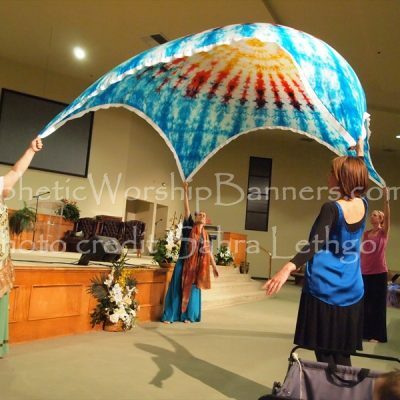 Whether you are looking for something to use as a prayer shawl, dance veil, streamer, banner or scarf, the Streamer Veil is all of those in one. 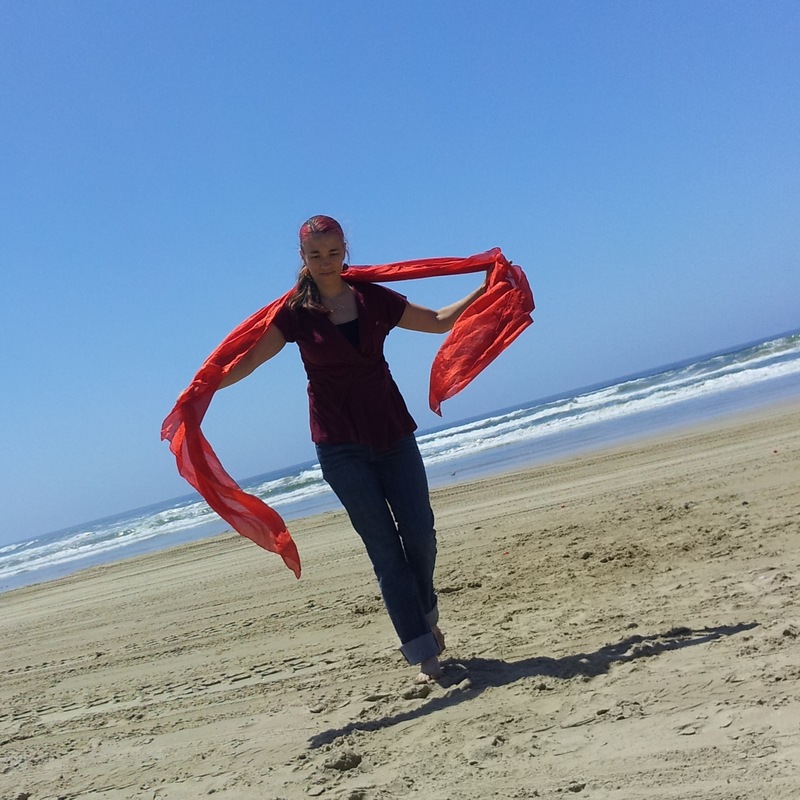 I have one that is my favorite and I wear it and dance with it often. 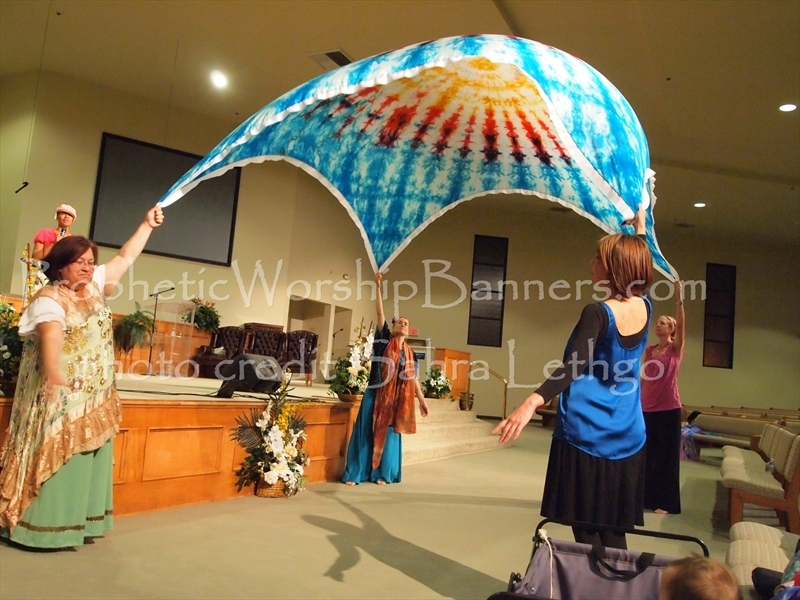 The sizes available are 9ft semicircle and 7 ft rectangular, both flare out wide in use and are lovely! 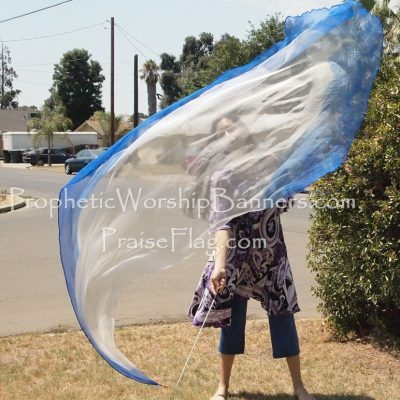 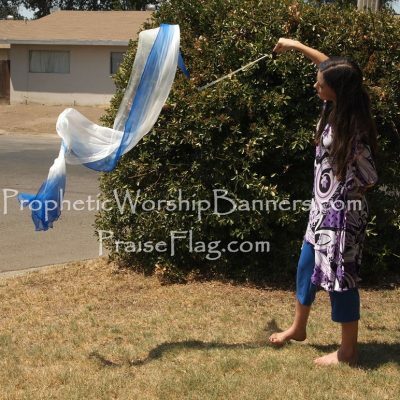 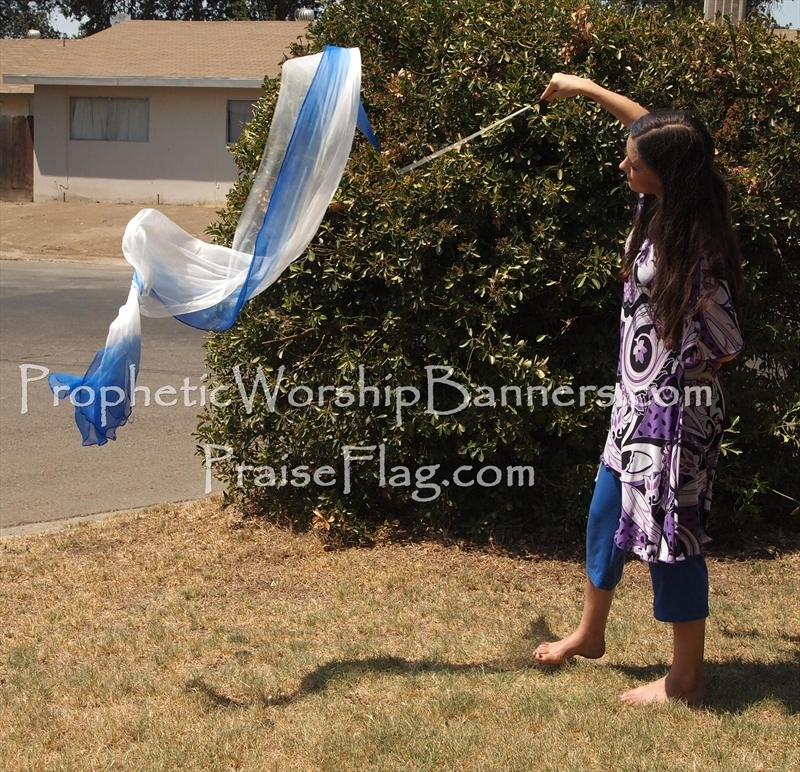 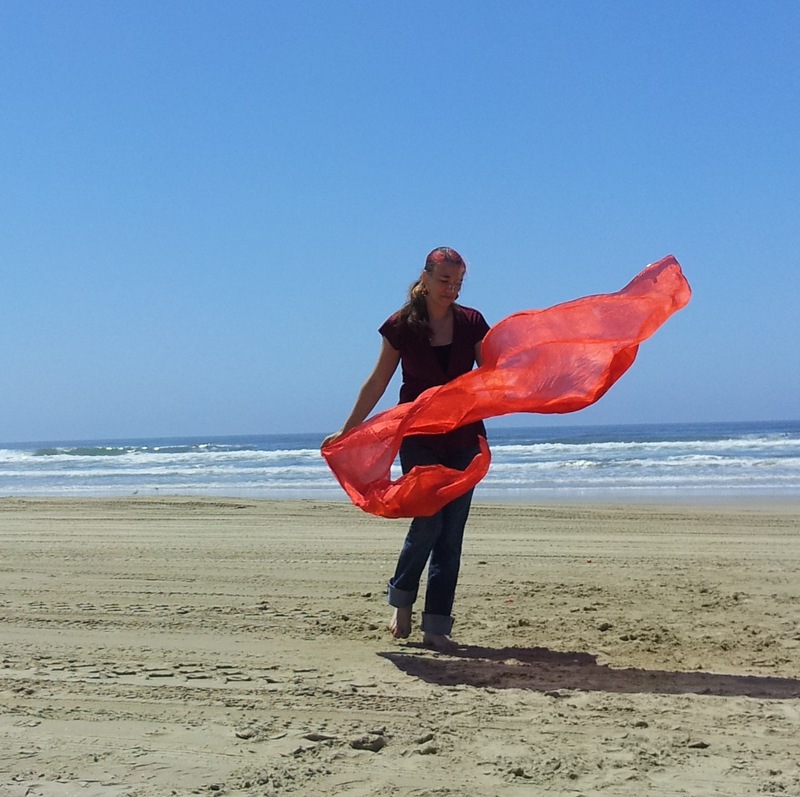 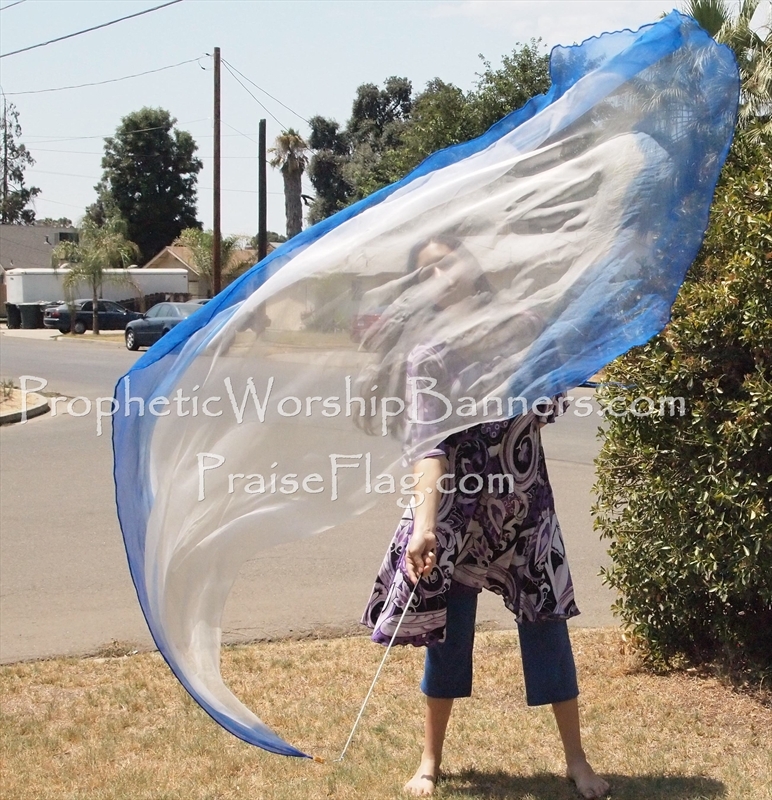 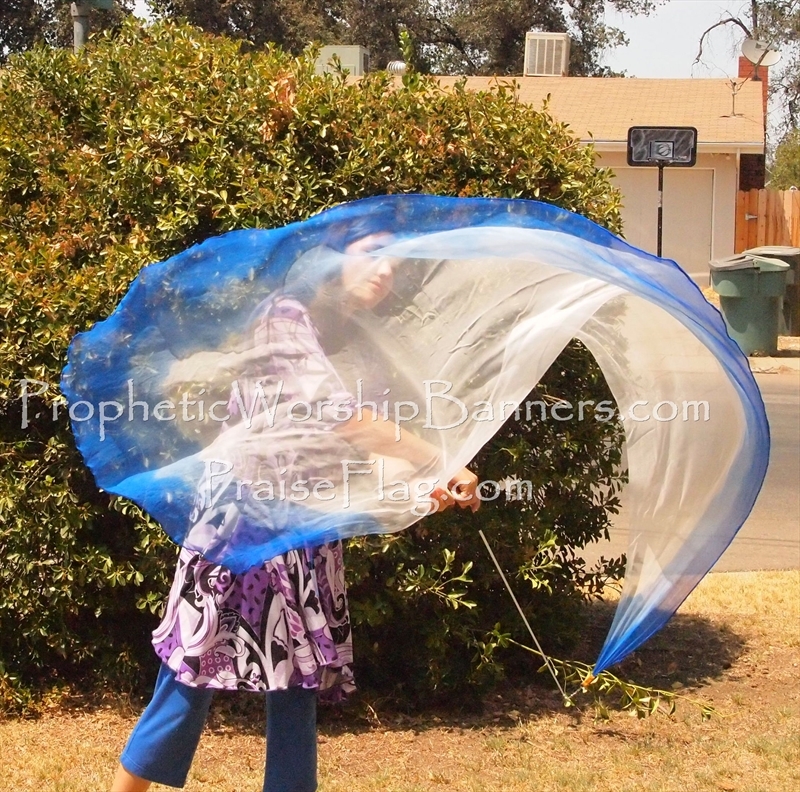 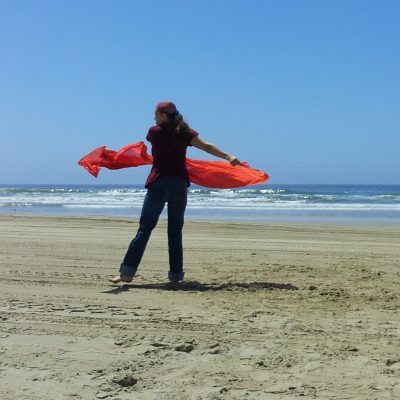 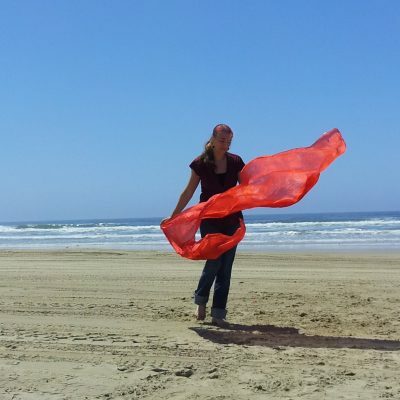 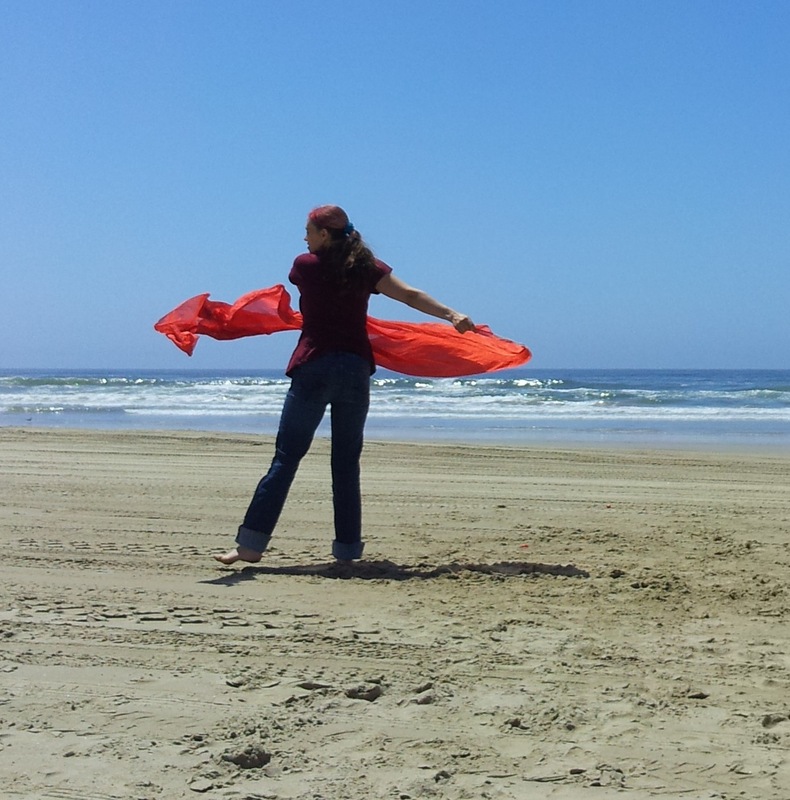 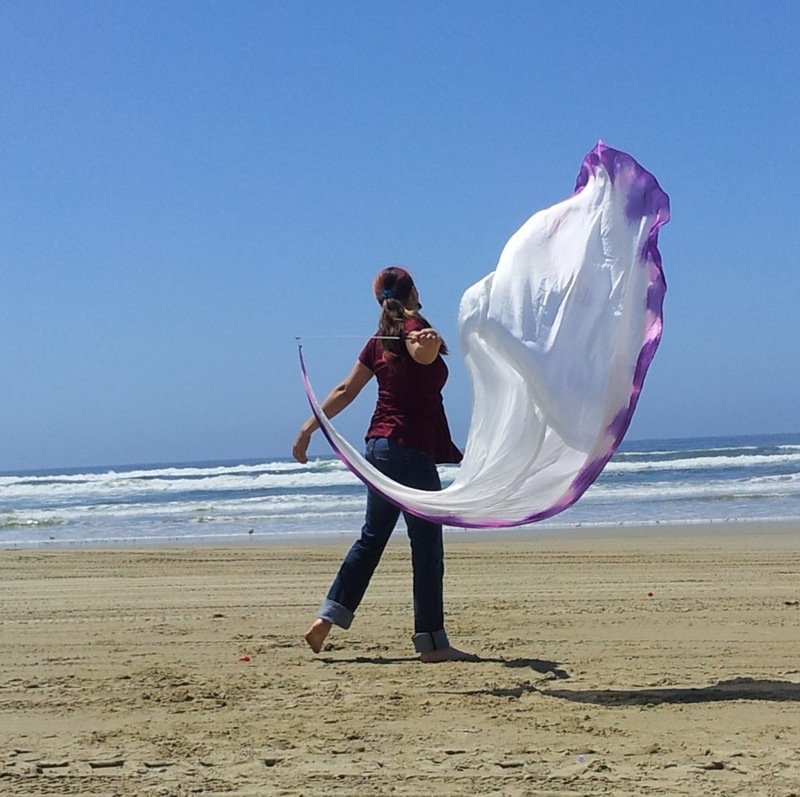 The veil can enter into a place where poled flags aren’t allowed, wear it as a scarf, head covering or shawl, then whip it off off and wave it before your King when the Holy Spirit leads you, or bring your compact 22″ streamer rod in with you.